Today, just as I sat down to eat my lunch of a bowl of soup and a sandwich, the fire alarm went off in Fulton house. It wasn’t a drill, but it wasn’t a fire either! Apparently, a fire detector has been sited too near to a steam outlet in one of the kitchens. 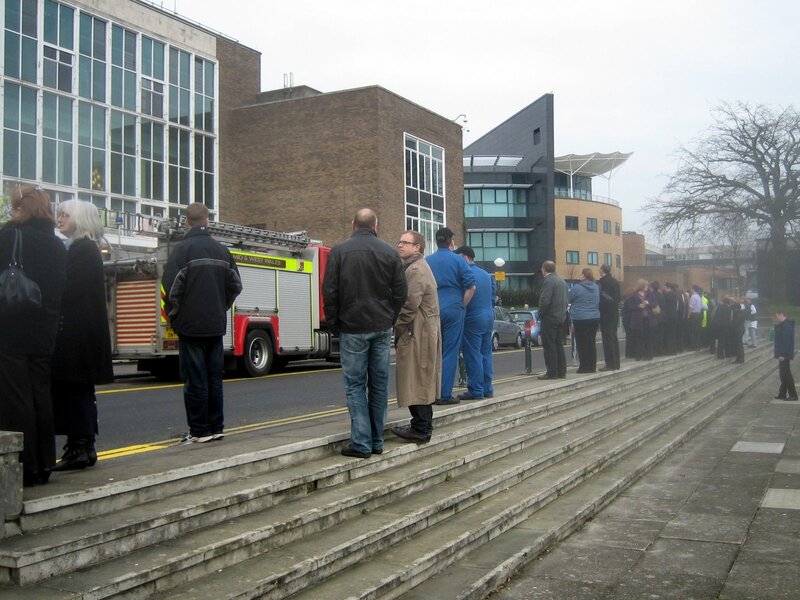 Nonetheless, we all had to stand around outside in the cold until the alarm had been cancelled by the fire brigade. My soup was almost cold when I got back to it.